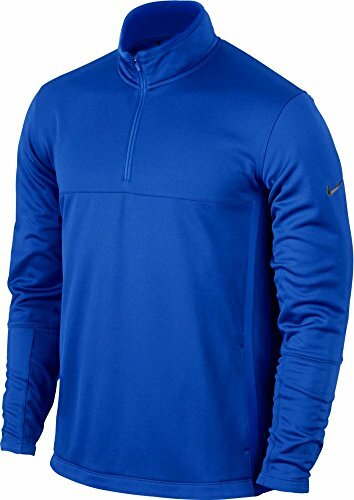 On or off the course, Nike has designed the Nike Therma-FIT Cover Up to be the warmth in your game! The half-zip to stand up collar is accentuated with contrast binding to match the sides and forearm for a sophisticated pop. Mesh side panels allow breathability with the comforting feel of fleece on the inside.